Theresa May has announced a £20Bn uplift in NHS England budgets over the next few years: which the PM presented as a ‘Brexit dividend’, neatly responding to the ‘£350m-per-week- on-the-side-of-a-bus’ stunt, which so promptly disappeared, post-referendum – until the week-end. It has been brought back from the dead as the May Government desperately tries to rally popular support as it tries to plot its way through, and survive, a looming House of Commons extinction moment. “Economic confidence is suffering due to the UK’s impending withdrawal from the EU, Philip Hammond has said, as he pointedly knocked down demands from Boris Johnson for a “Brexit dividend” for the NHS, in a sign of growing divisions within the government.” (Guardian, 23rd January, 2018). “Hammond is not convinced. He might yet try to muddle through without a tax rise, relying on economic growth (even though it is running at an anaemic 0.1 per cent according to figures out today) or, more likely, higher borrowing. But this course might limit the NHS boost to around 2 per cent, which would not even keep its head above water.” (Andrew Grice, ‘The Independent’, 25th May, 2018). The PM ‘clarified’ her interpretation of the ‘Brexit Dividend’ in a way that now seems to reflect Hammond’s earlier opinion. “By 2023/24 the NHS England budget will increase by £20.5 billion in real terms compared with today. That means it will be £394 million a week higher in real terms. So, the NHS will be growing significantly faster than the economy as a whole, reflecting the fact that the NHS is this government’s number one spending priority …. Some of the extra funding I am promising will come from using the money we will no longer spend on our annual membership subscription to the European Union after we have left. But the commitment I am making goes beyond that Brexit dividend because the scale of our ambition for our NHS is greater still.So, across the nation, taxpayers will have to contribute a bit more in a fair and balanced way to support the NHS we all use’.” (PM speech, gov.uk; 18th June, 2018). “Extra spending can’t be funded by Brexit dividend. Johnson followed this up with a robust and almost contemptuous dismissal of the May “shenanigans” with the ‘figures’ in Sky News and BBC Daily Politics interviews. The £20Bn will rather rely on higher taxes or higher borrowing; and this is the key to what the May Government actually intends to do. The Conservative Government may resort to some new taxation (but likely to be at a level of tax increase principally to provide cover, a smokescreen, a mere gloss to deflect attention from their greater reliance on borrowing). The Government will borrow. It always does, ‘when the chips are down’. The problem is ideological. The Government is committed to an ill-informed Neoliberal interpretation of the economy that relies on two bad arguments: that some gullible politicians even actually believe: the bad arguments are popularly peddled with the plausibly misleading phrases ‘tax and spend’ and ‘the household budget economy’. Both phrases are false, because households are not like Governments, at all; and in reality spend must precede tax. If you think the household is in precisely the same position as Government, then try issuing you own currency from your home, or taxing the people with whom you carry out your financial transactions. If you are still baffled, then I suggest you watch the US economist Stephanie Kelton’s recent explanatory London video here (and watch it all): (or read Randall Wray, Anne Pettifor or Bill Mitchell – just google the names). Theresa May is doing precisely what the Neoliberal political ideologists always do when their disastrous economic policies fall apart; as they inevitably do. They do precisely the opposite of what they claim to believe. The borrow; and they do it in the confident knowledge that the media, and much of the opposition is too gullible, or seduced by the ideology, to draw attention to the wholesale disingenuity of their disingenuous position. Look for example at the National Debt, 2000-2017. The Conservative ideologists first warned of imminent doom if the National debt grew rapidly after 2007. They also claimed it was the public sector that caused the problem. Doom did not materialise, and the National Debt has almost tripled since 2007/8; an increase largely caused by the nationalisation of private debt losses in the financial sector after the Crash; with the pain transferred wholesale to welfare, largely as a punishment; most of this borrowing policy carried out alone or as the dominant partner in a coalition, by the Conservative Party (the feeble, ineffective Osborne policy of actually following official ideology in monetary policy, collapsed ignominiously in 2012). [Graph HERE] (Statista, 2018). 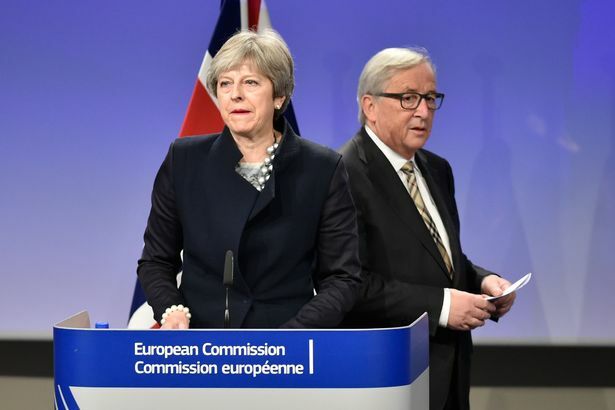 Far from reminding the public of their warnings of doom beyond catastrophe by borrowing, the Conservatives have blithely forged ahead with a Brexit policy that guarantees serious economic problems in the immediate future, and an inevitable need to borrow. Problems they well understand, and that underpin their almost catatonic inability to decide on any Brexit programme at all. They can only undertake such an enterprise because they know their warnings are misleading. Now you may wonder why, if they do not observe their own fundamental beliefs, why do they continue to proclaim them? Now that is a real question, that goes beyond the smoke, mirrors and sleight-of-hand. Why do they do it? Cui bono? Do not rely on a straight answer from Theresa May. Dominic Grieve probably thought he had a straight answer from Theresa May only last week, but like everything else that emanates from this Conservative Government, it does not last the passing of day into night. Firstly, any spending planned beyond the term of the current govt. should be laughed at. It’s utter nonsense. It shouldn’t be broadcast by the media except to humiliate the proposers. Fair play to John for investigating the proposal, but it’s ridiculous. The obvious question to ask would be , ‘So what happens for the next few years while you Tories are actually in government ?’ God knows the NHS could do with the funds. Secondly, in simple terms, what a horrific state the UK has become. The day after the Brexit vote, when Cameron resigned and no leading cabinet member could be found for comment, it was left to Mark Carney of the BoE to make a public speech. In it, he promised businesses an immediate fund of £275 billion available for any negative impact. Just like that, on the spot. Yet, when it comes to public spending, it’s like drawing blood from a stone. As so many have commented over the years, this country practices socialism for the rich, no matter which colour of UK government we have. The increase in funds to go to the NHS really is all smoke and mirrors. Let’s just say the Tories do increase funding, where does the money go? Most of it straight into the coffers of private businesses that are leeching on public funds owing to privatisation in the NHS. It is always this way with the Tories. They always find ways of trying to get public funds into the hands of private businesses. Sad, but true. The EU rescued the uk in the 1970s when the uk was the sick man of Europe. The reaction of the uk is to bite the hand that nursed it back to health and sail off to some imaginary mid Atlantic land of milk and honey. The logical stance of a country should be to govern itself whilst being a member of any relevant clubs. The uk’s stance is to maintain a club where countries don’t govern themsleves, this is now to be executed in isolation from the most obvious club it should be a member. The uk puts X into the EU as a membership fee, in return, X more than pays for itself in trade and movement of people. The likely outcome of leaving the EU will be reduced and more difficult trade with Europe, signing up to inferior trade deals with other countries out of desparation and an expansion in immigration from the Indian sub continent. These consequences impact people’s standard of living, and as always, the poor will be most severly impacted. Nothing positive will come from leaving the EU other than Scotland gaining indpendence. The Scottish Government’s stance on not doing the bidding of westminster on brexit is welcomed and long over due. The Scottish Government and all Scottish politican’s should return to basics on the EU, we don’t want to leave and hammer this point home each and every day to the point where Scots are viewed as the enemy within the uk by the ruling elite. The logical extension of disobedience by our government is civil disobedience by the Scottish people. Finance of the city of London and uk government is a mystery, but one thing we know for sure, Scotland is getting screwed! Really – UK economic performance throughout that decade was grim: 3 day week in 1974; IMF bail out in 1976; Winter of Discontent in 1978/79. It was the policies adopted by Thatcher govt in 1980’s which turned round the UK economy viz privatisation, deregulation, curbing of trade union power, lower taxes, sale of council houses etc. Ah-ha-ha-ha-ha-ha-ha fcuk off ya Tory cnut….. The comment of “Tam” epitomizes the ignorance and bigotry endemic in the “Yes” movement. Why does he have such a hatred of the Conservative Party? Can we assume that he would be in favour of higher taxation, state ownership of industry and increased state involvement in the life of it’s citizens? If so, why is he unable to put forward his case in a reasoned and polite manner? The myth of Mrs Thatcher’s “economic miracle” surfaces every now and then. I lived and worked in Glasgow during 1979 to early nineties and I can assure you that there was no “miracle” felt here. Unless you count the “miracle” of well paid, skilled, full time manufacturing jobs turning into poorly paid, insecure, part-time service industry work. Or the “miracle” of dozens of unemployed centres springing up in our urban areas. Or the “miracle” of our terms and conditions of employment being torn up and replaced with “like it or lump it”, short term contracts. Perhaps you mean the miracle of “invalidity benefit” which removed a broken workforce from the numbers of the unemployed? *Selling public assets and calling the receipts “negative public spending”. This allowed the lie of a “surplus” to be promoted. *A huge windfall from North Sea Oil (£4bn in 1988-89 alone) which was squandered and handed around as tax cuts. Thatcher’s reign may have been experienced as a “miracle” by some lucky people in The City or the rentier class, extracting unearned income from public assets but it was a shite time for most people in Scotland. Using Mrs T as an exemplar of how to run a country cuts little ice in Scotland. Try a different tack. You jest. Thatcher’s policis have caused nothing but misery. She decimated our industrial base and spent oil revenues and the family silver on paying for record breaking unemployment and poverty, when that should have been invested in industrial regeneration. Her social housing sell-off, designed to reduce Labour support, was the root cause of today’s housing crisis. About the only things of any use that she did was negotiate our rebate, and invent the EU single market, both of which today’s Tories are attempting to bin! I commend only your capacity to completely miss the point. There is nothing in the argument in this article explicitly to commend or dismiss Brexit. It simply assesses the claim that £20Bn more will be spent on the NHS in England, via a “Brexit dividend”, and found the claim wanting. The claim is unsustainable. The article points out that the spend can only be achieved through higher taxes, or more borrowing, and Brexit makes this ambition more demanding. Nothing more. Whoever wishes to believe in Brexit is free to do so; but please, just for once face up to the real costs of doing so. Acknowledge; take some real responsibility what you are actually doing to the country; at least have the courage of your convictions (and let us find out how many of your elderly, lace-curtain Brexit warriors are prepared to pay the price, once they understand it). If you are so petrified by the economic consequences of what is being done in your name, that you cannot even face it, then do not do it; and do not selfishly drag the rest of the country, horrified by the prospect, into the grotesque mess that is Brexit. The time for ‘spin’ is over. Now you have to live with the consequences of that which you support. Enjoy. What flummoxes me is that the Tory party in all its fractures does reflect the general mood. The SNP’s writing off the concerns of 1,018,322 leavers does not. Davidson by accident or design has played a blinder here; by aligning herself with SNP on Brexit she has left leavers nowhere to go but Westminster. How on earth did that happen? Too many trips to designer clothes shops in Thistle Street or the pondering of property development plans in Portugal perhaps? Ok Ok not, but widespread sychophantic apathy, yes. I do know this: the SNP hierarchy are both tired and bereft of ideas; an autocracy growing in front of our eyes. No spark. Allowing a Labour Party [sic] MEP snouting drudge such as Ian [I’ve served 34 years] Martin speak for the movement says it all. He should have been blown off the Red Tops by Bute House, but these seem desperate days. Good luck to us all and what a beautiful day in our fair land. I wasn’t aware that W.B. Robertson was in any way “petrified by the economic consequences ” of Brexit. I think that is John Warren’s fertile imagination. However, I can see that any sensible person would be petrified of the antics of the present Conservative Party. A Remain establishment is having to deliver Brexit and that is an agonising process. How would Ruth Davidson do in delivering Scottish independence? May has given away every conceivable negotiating advantage. Regarding the £20 billion support for the NHS, this could even in the best of circumstances only partly be delivered by a “Brexit dividend” May made that clear from the off. £350 million a week does not make an annual £20 billion. There has never been a claim that “£20 BN more will be spent on the NHS in England via a “Brexit dividend”. However, there was a campaign slogan which highlighted our huge gross contribution to the EU and suggested that this be used for the NHS. The £350 million does not include tariffs from non-EU imports which we are obliged to send to Brussels. To me, this was nothing more than campaign hyperbole based on a fundamental truth. The amounts of our contributions to the EU and their uses were well known to all parties. We are a huge net contributor to the EU. Both campaigns lied or exaggerated but REMAIN much more so. If we are paying handsomely into the EU during transition periods then there will, surprise surprise be no Brexit dividend. Assuming we ever become an independent sovereign country ( and not a vassal of Brussels) then I have every confidence in our economic future. I am however petrified of intellectuals who rely on economic models which have never once worked in real life. John: I am an oilman. My primary product declined in price from circa US$ 115 in Summer 2014 to US$ 28 per barrel in January 2016. I am still here and I am not impressed with Project Fear. It might be interesting to ask some of your older colleagues what health and safety was like in heavy industry in the good, old UK-Only days. Hard to have a long & healthy career when the only PPE you have is a cloth cap, hobnail boots and dungarees. For the record my words were “If you are so petrified by the economic consequences”: the word “if” is small, but important. It suggests there is evidence here, but it offers a qualification. You argue too carelessly. As for the “Brexit dividend”, it has diminished to zero. As the IFS made clear (and even Hammond has hinted) – there is no Brexit dividend: there is a Brexit penalty. There is no substantive evidence to the contrary. None. That is all. As for your petrification at “intellectuals who rely on economic models”; unfortunately you do not know anything about me, or what I rely on. You would be better spent assembling your facts before pontificating. I spent my career in business, and I require no advice from you about the weakness of models (indeed I have written about the over reliance of economics on models, and the discipline’s poor use of statistics). Mr Ross, candidly I must confess I am not petrified, nor even the least impressed by the self-endorsed opinion of an “oilman” (an application of the ‘argumentum ad verecundiam’ that even fails to establish the ‘authority’; now that is novel! ); a reference to the relevance of your experience which ‘per se’ could mean anything, or frankly, nothing at all. Your use of the words ” If you are so petrified ..” implies that Mr Robertson is petrified. You have absolutely no evidence that he is “petrified”. The plain fact behind the £350 million claim is that we are huge contributors to the EU. We, as an independent sovereign country can decide to send our money are we chose, which could be on the NHS. Hammond is a through and through Remoaner whose word is worthless. The IFS is no better. Perhaps your response indicates that you are not an intellectual. If not then Prof Murphy and his ilk clearly qualify. Why not fund the £20 billion NHS dividend ( or a £40 billion dividend) by printing money? to remove any doubt…I am many things but certainly not petrified! Good to hear. You are presumably quite relaxed to find that the £20Bn will require raised taxes or borrowing, and no “Brexit dividend”; that is a perfectly fair position, but I doubt a popular one, and certainly not one consistent with the Government’s expressed economic policy (which, of course I grant is no guarantee of anything). I thought not Mr Robertson. You were making the very good point that it makes no sense for the SNP to fight Westminster for powers the SNP wants to give away to Brussels oligarchs. It suggests he may be petrified; a conjunction; ‘if-then’ (it remains possible that ‘if not-then not’). I do not understand your point. Printing money? You mean like QE? Or do you have an intellectual problem with MMT? Perhaps you would care to identify the technical flaws in MMT (either in terms of monetary theory, or as a description of the facts). I am always happy to learn something new and interesting. You had no more right to suggest that Mr Robertson was petrified than to suggest that he is a Celtic supporter or a Vegan. He may be a petrified Vegan Celtic supporter, but then again he might not. I think you should express yourself sensibly and stop being patronising. Regarding the £20 billion NHS programme I do not like it ( for reasons stated by Charles Moore in last week’s Spectator) It could never have been mainly or largely funded by our recovered funds from Brussels and must involve, either tax rises, more borrowing or higher economic performance. Jeremy Hunt was quite explicit about higher taxes on the Marr show. I think it odd, I must say, to use the article to have another attack on neo-liberalism but simultaneously use the IFS to predict Brexit disaster. The IFS is the classical neo-liberal think tank which is also heavily funded by EU institutions. Monetary theory is not my field of interest. Before embarking on radical new initiatives it might be interesting to see examples where the MMT has been successful. Is QE the same as money printing? At last you have now stopped deflecting attention from the matter in hand. “Quantitative easing does not involve literally printing more money. Instead, we create new money digitally. Quantitative easing is when a central bank like the Bank of England creates new money electronically to make large purchases of assets. We make these purchases from the private sector, for example from pension funds, high-street banks and non-financial firms. Most of these assets are government bonds (also known as gilts). The market for government bonds is large, so we can buy large quantities of them fairly quickly. The link will take you to the BofE webpage on QE. If you wish to understand the basics of MMT (how money and currency work), Stephanie Kelton has a superb introductory video (see article). If you wish the main course, then Randall Wray ‘Modern Money Theory’, or Steve Keen ‘Debunking Economics’ (book plus graphs booklet). I have little to quibble about the rest of your comment, but remain baffled why we had to go through this rigmarole (you did more than a little ‘patronising’ yourself, while ‘making smoke’! ), save that you are right about the IFS; but in this case the IFS was correct – why should I quibble when I can applaud somebody ‘seeing the light’, and the spectacle of Neoliberals arguing fruitlessly among themselves; it is, after all where their small ‘talent’ lies. Thanks for the BoE links. I shall have a look at this. Neo-liberals are wrong until they are right? I now bow out of this chain. You just couldn’t resist; with sophistry. “…During the first devolution debate I reported for the BBC from the Palace of Westminster. That is a tale to be told for another day, but let me say I was shocked and often disgusted by all I witnessed there. When, with instinctive journalistic verve I wanted to report certain facts, I was warned off in no uncertain terms. Told that was how things were. And told that I couldn’t expect airtime and not to be so naïve about life in the House. A touch enthralled about being in the centre of power I acquiesced and convinced myself that my nightly Reporting Scotland reports were honest at least. And they were. I closed my eyes to the rest. So, I was not surprised in a way to watch the jeering and hissing over the amendments that came before the House last weekThat’s what they do, although, since the introduction of cameras, they have become a touch more circumspect. And then, we had the non-discussion of Scotland’s devolved powers and an arrogance and disdain that led to a walkout. I have said, many times, in this column that I do not feel it right to discuss Scottish politics. But there comes a moment. I found the disrespect in the House towards Scotland and its representatives beyond all acceptable behaviour. And, like many commentators I believe that was the day the fight for independence took a giant leap forward. On display was all the contempt that England has shown over and over again to its neighbours. Some of the statements made about Ireland and its border issue have been breathtaking in the ignorance and insensitivity of those making them. By the end of this debacle England will stand alone, Ireland will be united and Scotland will be a nation again. The full article is about Brexit. In case this excerpt seems a little off topic.